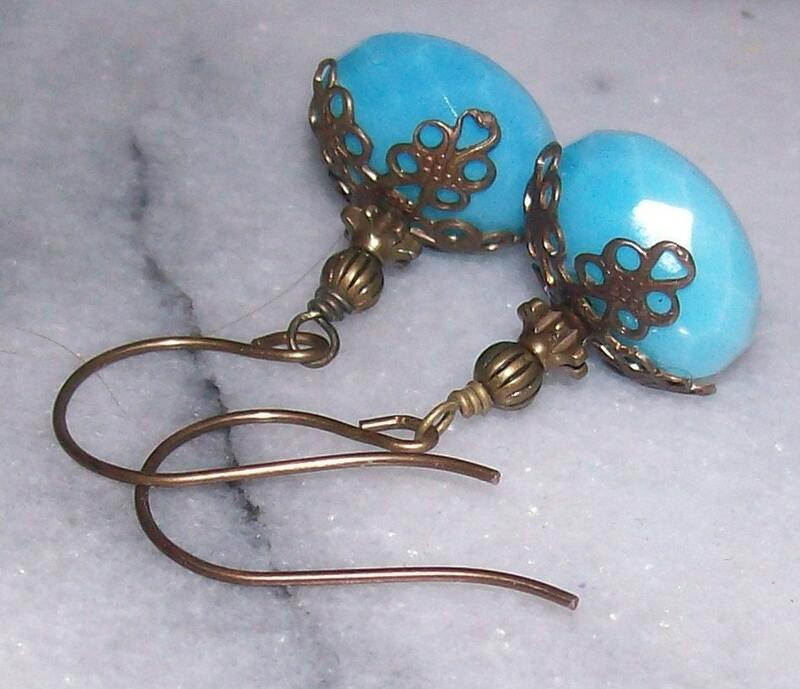 Bargain Shopping Paradise: Happy 100, Giveaway #3: Jewelry from Connor Inspires Amy! 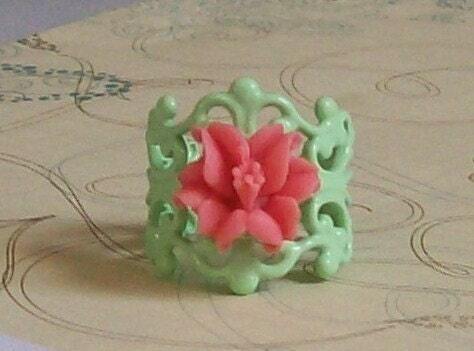 I would purchase Orange and Pink Lily earrings for my friend Phoenix. She has beautiful red hair and it would really make it stand out. 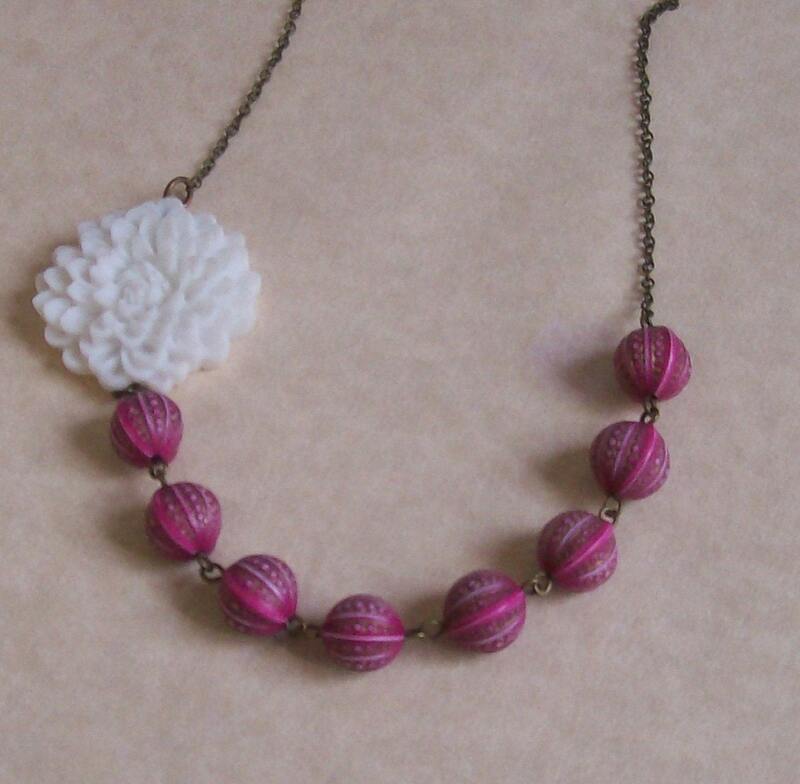 would get the sailor girl necklace for my sister - it's just her style. 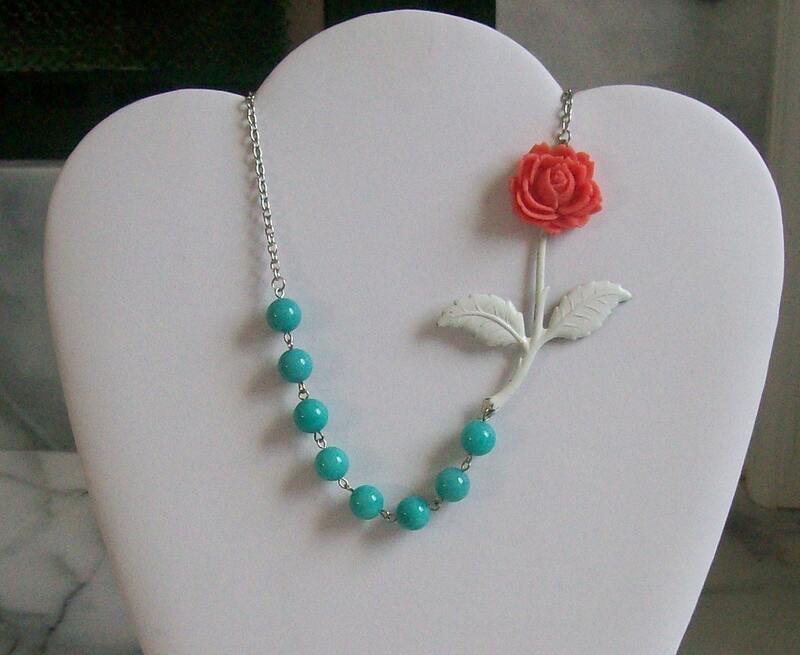 I would purchase the GrayBlue Rose and fossil stone asymetrical necklace for my sister for her birthday coming up. It has her name written all over it! I would buy that rose necklace with the turquoise beads for my oh-so-trendy teenage sister-in-law (who I have for Christmas this year). LOVE THIS JEWELRY! I am in "like" with BSP on facebook! I linked it to my profile on facebook! Oh my goodness, this jewelry is stunning. I love it all but honestly the Georgianna is my favorite. It's so unique! the black & turquoise mum necklace for my sister -- she LOVES the black/turquoise color combo ... I know she'd love this! I love the Soul Mates (love birds) necklace and would give it to my sis in law, since she and my brother celebrated their 25th anniversary this year. i would love to buy the charlotte in purple for my Mom, since purple is her favorite color and she loves jewelry! I love the Brown Mum And Peachstone stone asymetrical necklace; fairly neutral but still feminine and absolutely goes with my wardrobe. I would get the Emma necklace for my best friend. Lovely. Violet Passion Blossom Earrings for my sis. The Coral Turquoise Fantasy Necklace would be great for my cousin because of the pretty colors. I would get the GrayBlue Rose and fossil stone asymetrical necklace for my best friend. She is a fabulous friend and this is just her style. My mom would love the Sparrow and Turquoise Necklace. The color is her favorite and it's nice a chunky like she likes. I like the: Toggle Front Owl Necklace, I would get it for my friend b/c she loves jewelry and this would be perfect for her! i follow this blog via GFC as d c.
I would get the Charlotte in Coral (PLUS FREE MATCHING EARRINGS) for my best friend, Laura, because as soon as I saw it I thought about her and it made me smile. Squirell Bait is super cute! 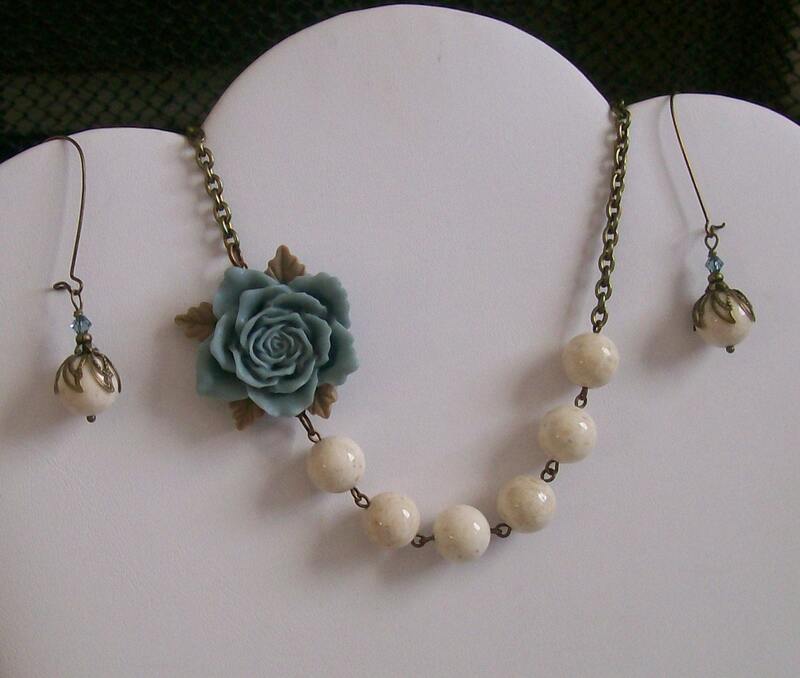 I love the GrayBlue Rose and fossil stone asymetrical necklace! I love any kind of necklaces and I wear them all the time! This is WAY different and so unique compared to everything I have! I love it! I would purchase the Key to my Heart Earrings for my daughter...because not only does she have the key to my heart, but she is in college and would think these are really cool! Thanks!